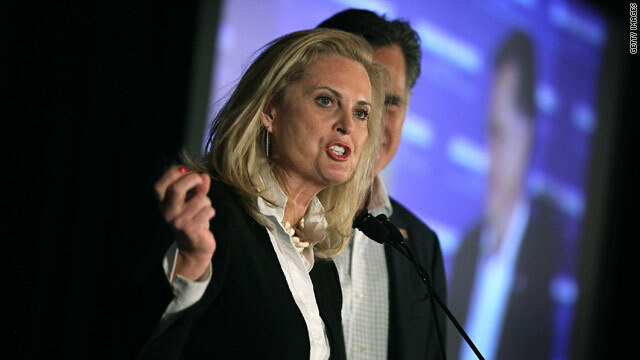 As rumors fly over presumptive Republican nominee Mitt Romney's running mate, his wife Ann Romney says he hasn't decided yet. Romney noted the heavy speculation but said "we're not quite there yet" in an interview with ABC's "Good Morning America" set to air Thursday, according to ABC News. "We are certainly talking a lot. This last week, this last weekend, there was a lot of discussion," she said. "There was a lot of talk. We're not quite there yet. And we're going to be there soon." The only female psycho ***** here is the OP. Have some respect. Woodrow Wilson's wife ran the White House after her husband's stroke until the end of his term. she's does look strikingly like Hillary in that shot. I don't really see the issue here, if you think the candidate's wife isn't heavily involved in this process you haven't been paying attention. Hey, funny story, I heard that (R) was waging a "War on Women". Funny, heh? "Two years ago, we made history together by finally passing health reform,' she said to the crowd on Tuesday. 'And because we passed this law, insurance companies will now have to cover basic preventive care - things like prenatal care, mammograms, contraception - at no extra cost." Funny that little "we" isn't it? "So yes, we moved forward and we won those battles, and we made progress that our parents and grandparents could never have imagined," said Obama. "But today, while there are no more 'whites only' signs keeping us out, no one barring our children from the schoolhouse door, we know our journey is far from finished." Last edited by Warfish; 07-20-2012 at 05:24 PM. anybody that would subject themselves to the scrutiny and the probing that the presidential election system runs candidates through, is a psycho biotch. Both spouses. For the mere fact that they endure all of that, and basically end up selling their soul, tells you all you need to know about how important 'having power' is to them. 'psychos. every. stinking. one of 'em. I think I heard Romney himself say that "we haven't decided yet". Probably just referring to his campaign staff as "we". They don't make these decisions alone. That's a shame. You don't do well in the politics forum, Timmy.